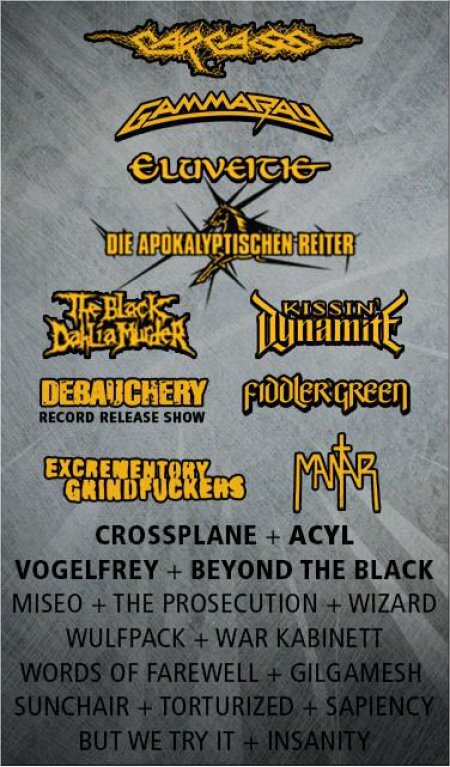 With full force – Running Order online! With Full Force-APP incl. Running Order available! Thanks to all of your support the Dong Kultur e.V. managed to be among the winners of the “DiBaDu und Dein Verein” campaign, winning €1,000! Thanks to everyone who voted for us. Enjoy a beautiful weekend and don’t make this such a thrill for us. We would like to not be on the verge of a heart attack next year. 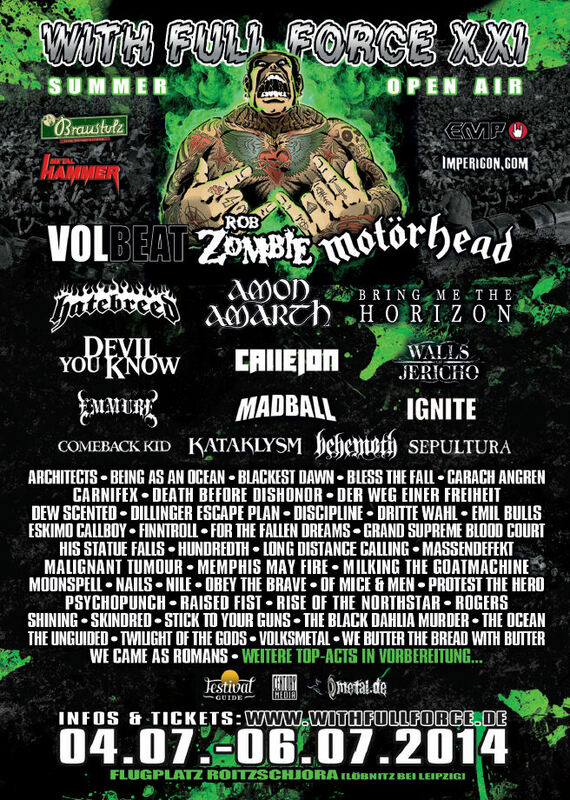 Wacken festival alphabet and tickets news! As always we had to change the Festival Alphabet a little for the new festival year. This year we have also reduced it to the most necessary amount of information to avoid a wall of text. Like last year it also includes a search-function to search for catch-words which will scroll you the searched segment instantly. In addition to this, the whole content of the ABC is hidden at the start to allow a faster scrolling. All categories can be opened/closed at the click of a mouse. Ticket exchange will be closed on June 7th, 2014 – Name change is still possible! As you might know there are 2 ways to acquire/sell a Wacken ticket after the Sold Out – the name change and the ticket exchange. The anonymized ticket exchange takes a lot of time for all parties involved. For example payments from the buyer aren´t done in time or other problems occur between the seller and buyer, so that the whole process often takes several weeks. To be able to complete all active processes in time, we will shut down the ticket exchange on June 7th, 2014. So if you want to enlist or sell a ticket through the ticket exchange please do so before June 7th. Important: You can still rewrite your tickets to others, as the name change service will be available until about 10 days before the festival starts! Please note, that if you are already enlisted on the waiting list, there´s still the possibility to receive a ticket through the ticket exchange – For example if another purchaser declines his request! So if you want to stay on the waiting list please click the activation link that is sent to you in regular periods! Help our friends of Dong! We have until June 3rd at 12 p.m. (noon) to win the €1,000 “DiBaDu und Dein Verein” voting for non-profit organizations. If you like our work – our support for the metal and rock underground bands – and our region, please give your three votes for the Dong Kultur e.V. and get us up among the first 250 clubs of our category. Please vote for us and share these news! Dong Running Order online! Greetings from Annihilator!